Chicago (population 2.8 million) is located in northeastern Illinois in eastern Cook County. Lake Michigan, the Chicago and Illinois Rivers, and the Des Plaines River are the main waterways to and from town. Interstates 55, 57, 90, and 94 will all lead you to the "Windy City." From what started as a small village in the early 1800's, Chicago has grown to the nation's third largest city and one of the most famous places in the world. South Division High School was opened in 1875 at 26th and Wabash on Chicago's South Side as a facility designed to relieve overcrowding at Chicago Central High School. Along with North Division and West Division, South Division only accepted freshmen and sophomores from 1875-82 when it was decided to close Central and let the three newer schools have a full, four-year compliment of students. The school continued to gain more and more students as the city grew during the 1890's, especially for those who were African-Americans that became residents of Chicago. In 1905, it was decided to close South Division and reopen it as Wendell Phillips High School, which it remains today. It is unsure as to whether of not the Phillips High building was actually built while the school was known as South Division...however, the architectural look of the photo shown above may give some clues, so it is possible that it could have housed South Division students. South Division was active in sports, and was a charter member of the Cook County League in 1890 with football and indoor baseball (softball). South Division along with a number of Chicago schools were in competition with each other during the turn of 20th Century, competiting with Oak Park and Evanston High Schools in addition to the other city schools. This sport was the headliner at South Division with a number of state championships won by individuals, including Eli Randall at the third-ever state meet in Champaign-Urbana. The school won two team titles in Cook County League action, as the sport continued to grow and in 1902, South Division was state champ. Two other teams finished in the top five of the state. South Division did compete on the gridiron, and made history doing so in the process. According to the chronology on the IHSA site (www.ihsa.org) about the sport's history, Lake View beat South Division in 1885 in what is considered the first-known football game between two Illinois high schools. The school offered the sport to the girls during the early 1900's, and we did find one thing of interest. The South Division ladies had one of the lowest scoring games in state prep history as they defeated Medill on January 23rd, 1904, by the score of 3-1. South Division's boys were involved in the Cook County League as early as 1890, playing against the likes of Harvard, West Division, and Manual Training. The school won the CCL title in 1902, and sent one player to the major leagues as John Kane played from 1907-1910 with the Cincinnati Reds and Chicago Cubs as a utility player. In 261 games, he hit .220 with seven home runs and 59 runs batted in, according to Baseball Library.com (http://www.baseballlibrary.com/ballplayers/player.php?name=John_Kane_1882&page=stats). Even the school got into playing the indoor version of baseball in the winter months around the turn of the 20th Century. In 1896, North Division, West Division, English (now Crane Tech), South Chicago (now Bowen), and Medill along with South Division were members of the Cook County League, which had formed league play six years earlier. --Henry Blake Fuller—notable literary figure of the late 19th century, writing poetry, theater, and novels. --Hugo Friend (class of 1902)—He participated in the 1906 Olympic Games at Athens, taking third in the long jump and fourth in the 110 meter hurdles. He became a judge and presided at the 1921 trial of the Black Sox. Hello, I just ran across the website regarding South Division High School and saw the request for any additional info. 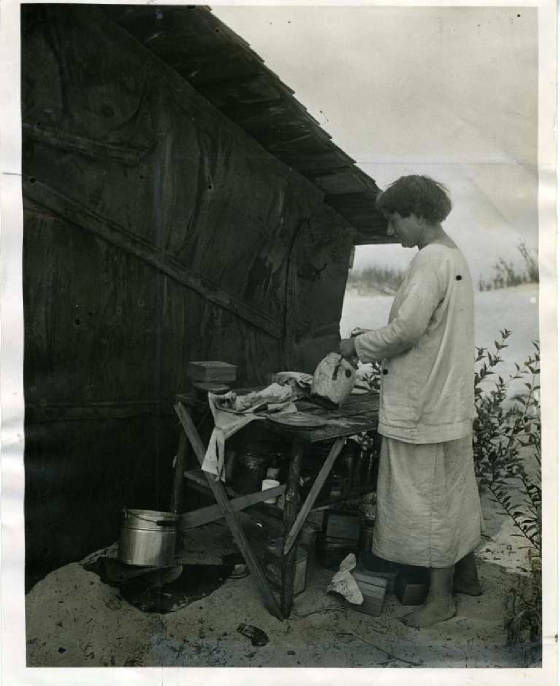 I believe another famous alum of the school is Alice Gray, better known as "Diana of the Dunes," a legendary figure who lived in the Indiana Dunes from 1915-1925 and became a sensation in the Chicago and Indiana press over those years. You can google her to find more info; also, I've written a book about her: "Diana of the Dunes, The True Story of Alice Gray." "At the age of sixteen, Alice graduated from South Division High School[ii] on June 24, 1897, in a ceremony held at Sinai Temple on Indiana Avenue and Twenty-first Street. She was the youngest in a class of ninety students. Among her fellow graduates was her cousin, Sylvester Beers. [i] Chicago Daily Tribune, “South Division High School,” June 28, 1895. [ii] South Division was later renamed Wendell Phillips High School and relocated. [iii] Chicago Tribune, “End High School Day,” June 25, 1897. "Thank you for your consideration. I hope you find this information useful ..."
DO YOU HAVE ANY INFORMATION ABOUT SOUTH DIVISION HIGH?